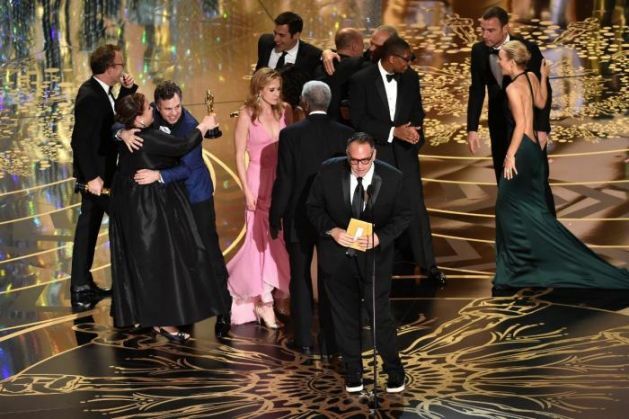 The Tom McCathy directorial, Spotlight won Best Film at the 2016 Oscars night. While accepting the trophy, the producers said, "This film gave a voice to survivors and this Oscar amplifies that voice which we hope will become a choir that will resonate all the way to the Vatican. Pope Francis, it's time to protect the children and restore the faith." The film depicts the 2011 investigation of The Boston Globe's Spotlight team on Father John Geoghan, who is accused of molesting more than 80 boys. As they dig deeper and acknowledge their paper's own failings, the team uncovers a conspiracy of lawyers and government officials who helped the Boston Archdiocese hide the pedophilia of many priests and deny justice to the victims. The film also received an award for Best Original Screenplay. The other nominations that this film received for the 88th Academy Awards included Actor in a Supporting Role, Actress in a Supporting Role, Directing and Film Editing. Renowned journalist Piers Morgan took to his Twitter handle to applause the film saying, "Journalism, so often maligned, finally gets the credit it deserves. Congrats to those heroic Boston Globe staff. #spotlight"
Earlier this year, the movie also bagged Critics' Choice Movie Award for Best Picture. The other movies fighting for this prestigious title were The Big Short, Bridge of Spies, Brooklyn, Mad Max: Fury Road, The Martian, The Revenant, and Room.